When I watched American movies in my UK-based youth, I barely noticed that they were foreign. There was something slightly exotic about paper boys throwing newspapers over sprinklers and onto lawns from their bikes, about screen doors, pies with pumpkin in them, Halloween, and the fact of Corey Feldman’s existence, but I had little sense of the USA as a place on a distant continent, populated by another people. I’d seen so much of America on TV and film that t barely felt like a foreign land. It’s only later in life (i.e. about now) that I really feel the distinct separateness of America, the knowledge that it is not the country I grew up. This should be surprising, since many of the films I was watching (usually because they were the films most forcefully marketed into my face) deliberately set out to make the of middle-American or suburban everyday seem strange and malevolent. I’m thinking specifically of the films of Joe Dante (Gremlins, Explorers, Twilight Zone: The Movie, Innerspace, Matinee, Small Soldiers, The Hole…), for whom this has been something of a defining trait. In Dante’s movies, action is bordered by representation. 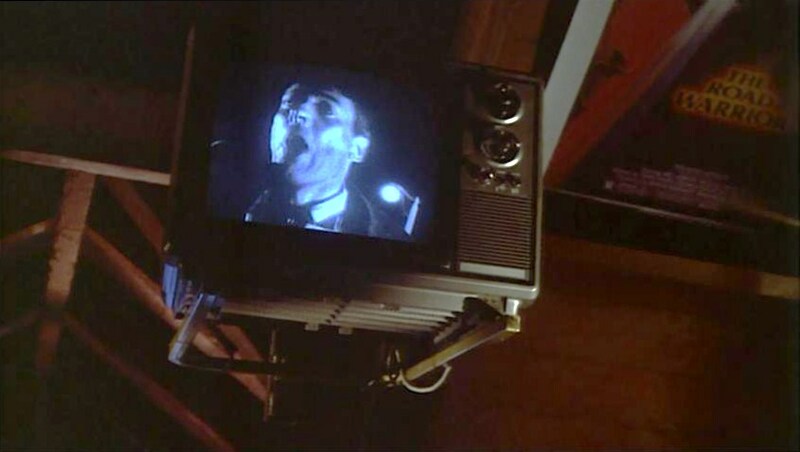 People receive instruction and commentary from movies and TV: think of how a key scene in Gremlins is echoed by the TV on the wall showing Invasion of the Body Snatchers, as if the world of movies was issuing a dire warning. 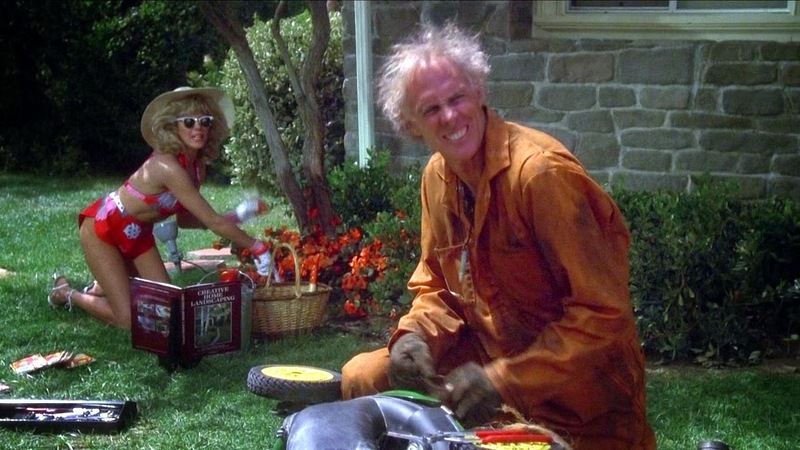 In The Burbs, there are screened references from Mr Rodgers (the ultimate and absurd example of good neighbourliness), The Exorcist (less so), and a few others. As in so many of Dante’s other works, the cartoonish, gothic excesses of American sf and horror B-movies are splashed directly all over neighbourhoods which are otherwise clean and close-knit, if a little overs-stuffed with eccentrics and obsessives. This is a little like a Looney-Tunes Spielberg mashup, or maybe just a bug-eyed remake of Rear Window, where neighbourly nosiness segues into passive-aggressive territoriality before sliding down into outright paranoiac prejudice. 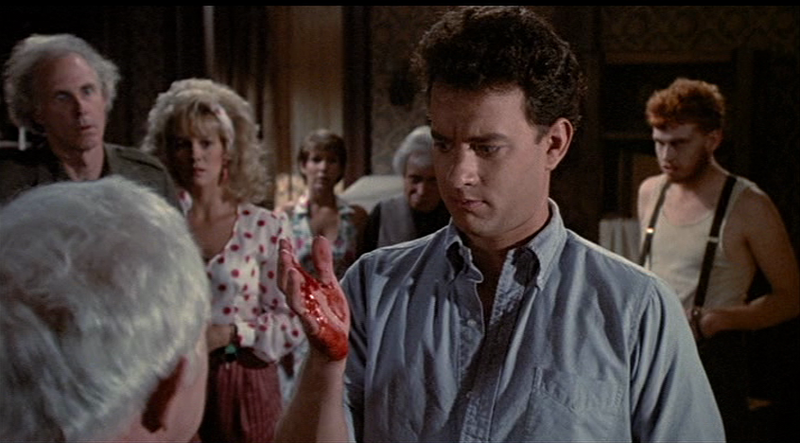 But it does remind me now of what a delightful physical comedian Tom Hanks is (was? ), and that before they straddled the globe with giant robots and crusading capers, American movies kept their allegorical turf wars picket-fenced and local. 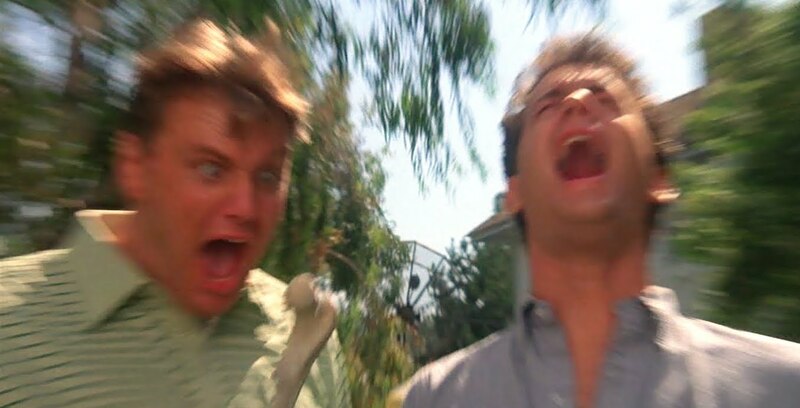 This entry was posted in Sketchpad and tagged Joe Dante, The Burbs, Tom Hanks by Dan North. Bookmark the permalink. Yes, it was a sloppy use of grammar and of my face, but intended for absurd comic effect. When I was little, or littler than I am now, I had next to no sense of cinema beyond what was showing at my local Cannon Cinema. I thought I had to sit through Police Academy II, simply because it was what was showing and therefore cinema was Police Academy 2. And Bigfoot and the Hendersons. And Mannequin. And so on. And Police Academy III. There were some gems in there (I’m more fond of Gremlins now than I was back then, and Gremlins II is some kind of masterpiece), but generally I’m shocked and a little embarrassed that there’s so much nostalgia, however ironic, for The Goonies and such. My agency with movies didn’t really kick in until I got my own card for a local library that stocked a lot of old VHS. Then, my choices were more heavily influenced by awesome box cover art, even if it frequently misrepresented the quality of the film in the box. Good to hear from you again, Mr Mack! Always happy to have my grammar pedantised. It’s the only way I’ll learn.